An issue lurking from even before our move to Florida is starting to bubble to the surface: we have a pet problem. Our problem lies with the fact that in fact we don’t have a pet. Twice now Gorgeous has given up pets for the sake of our relationship. 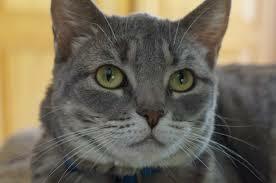 She is a huge cat lover and is used to living in a home where they can roam freely. I am actually not a cat person. I tend to like dogs more. Dogs are more interesting to me. Dogs will play fetch, go absolutely bonkers when you return home from somewhere, and they also serve as wonderful burglar alarms at night. But dogs also tether you to a rigid routine. Dog owners have to think about eating schedules, walks, and outdoor “powder room” visits. Going away on a vacation is a whole other matter to think about too. Do you put it in a kennel or do you impose on a friend? No matter what you do, you end up feeling guilty about leaving your dog for any length of time. This is all moot, though. We will not be getting a dog. Cats are low-maintenance pets, and I am by nature a very lazy man. Gorgeous will do nearly 100% of the care, so I therefore really have no, ‘er, dog in this hunt. There is absolutely no question that she will again have a cat. Sadly, though, there are some roadblocks in the way. I’ll get to those in a moment. Prior to joining me in California before we got married, Gorgeous gave away her cats to a close friend in order for us to be together. I unfortunately lived in an apartment community that did not allow animals. Plus, it didn’t seem to fair to uproot them all the way across the country from Michigan. I promised her that she would have again have cats someday soon. After we got married and moved to Oregon, we bought two beautiful British Short Hair kittens named Duchess and Tatiana. They were happily a part of our life there — until I decided to retire… and move us once again, this time to Florida. Oops. We had a long and emotional discussion about the kittens one evening several weeks prior to my final day of work. We decided that since they were still so young, giving them away to a loving home wouldn’t be as traumatic as driving them 3,000+ miles over a long one-week period. We were fortunate to find a local family with two little girls who absolutely fell in love with them. From emails and pictures sent to us afterwards, they appear to have made a wonderful adjustment. So the kittens were fine. Gorgeous, however, was crestfallen. Once again, I found myself in the position of making promises that someday she would again have furry balls of fur running around the home. For whatever faults I have, I am a man who keeps his promise. In choosing a rental condo here in Florida, I told her that my number one priority was to find one that accepts pets. In the end, though, it was Gorgeous that chose the community in which presently live. And, curiously, she chose a place that does not allow pets. Her reasons were all sound, based on cost, location, amenities, and how much she fell in love with the property. It was agreed that our next home, the permanent one that we will be buying, that will be the one where we can again have a pet. I responded by formally creating a two-year plan to live in our current rental until we find that next, permanent home. Since moving into our no-pet community, we have learned that in fact there are many people here who have cats. Apparently there is an undisclosed rule that if one has a doctor’s note explaining that a pet is needed for emotional support, the no-pet rule will be waived by a vote of the condo board. There is one catch, however: You must be an owner and not a mere renter. Among the many cultural hierarchies of retirement communities is the status of being either an owner or a renter. We are lower caste members because of our “young” age and ownership status. Like the Soviet agriculture ministers of the 1960’s and 70’s, my two-year plan is facing a hostile resistance. Gorgeous is on a mission to speed up the buying of a new home after our current lease runs out next summer. She wants to get us in a place that will allow cats sooner rather than later. I am mustering up all of my powers of persuasion about saving money, studying the local and surrounding neighborhood communities, taking our time to find the perfect real estate agent, etc. The responses I’m getting from her are artfully phrased to acknowledge my arguments but also give no ground. I’m suddenly not making any headway. I can only filibuster for so long before a vote for cloture is taken. Quite frankly I don’t think I have the support to push through my amendment. Article 4, Section 5.1.2 of the Marital Agreement clearly states that Wife shall have two additional proxy votes on all matters involving pets. My quest to delay is becoming Sisyphus-like. It will soon be too exhausting to try and stay the course, and one thing I do not have is Ronald Reagan stature. Contact me if you’re looking for a nice Florida rental later this year. I suspect mine will become available. I’m impressed you have a marital agreement. After all Gorgeous should get what she wants! She is the Gorgeous one. As for cats, you will enjoy them. You now have the time to develop a relationship with them. They become part of the family and you can’t give them away any more than you would give your mother away. You may as well throw in the towel!